Obituary for Rhonda (Bowman) Shales | Loftus-McManus Funeral Homes Inc.
Ms. Rhonda (Bowman) Shales, age 55, of Metropolis, IL, died on Thursday, September 6, 2018 at Massac Memorial Hospital. Funeral services will be held at 8pm on Sunday, September 9, 2018 at the Aikins-Farmer-Loftus-McManus Funeral Home with Chris Sielbeck officiating. Rhonda was an RN at Southgate Nursing and Rehabilitation Center, worked at the Shawnee Correctional Center for 15 years and a member of Grace Church in Metropolis. 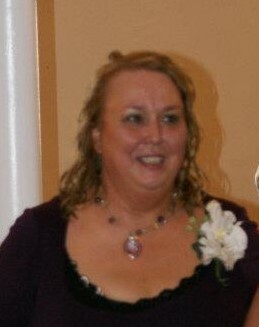 Rhonda is survived by her parents, Ron and Helen Bowman; two daughters, Tabitha Hornback and Kaci Featherston and husband Josh; three grandsons, Evan Hornback, Brodi Hornback, and Jensen Featherston; one sister, Samantha (Bowman) Hunt; one brother, David Bowman all of Metropolis; several nieces and nephews. Visitation will be held from 6 to 8 pm on Sunday, September 9th at the Aikins-Farmer-Loftus-McManus Funeral Home. Memorial contributions may be given to Shawnee Wellness Assistance Therapy Training c/o Shawnee Correctional Center 6665 IL-146 Vienna, IL 62995.